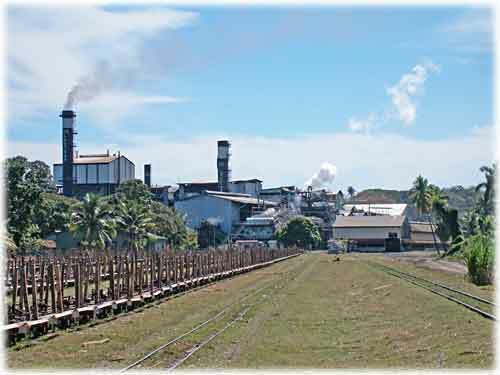 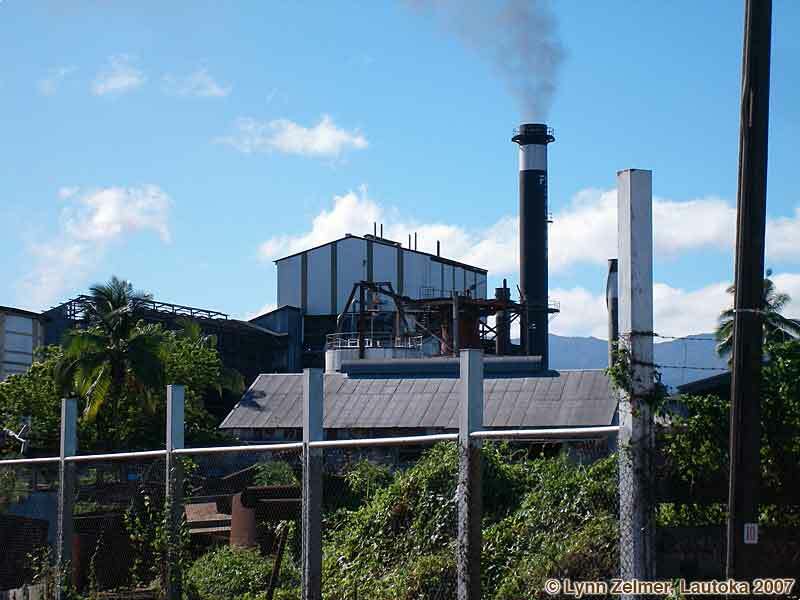 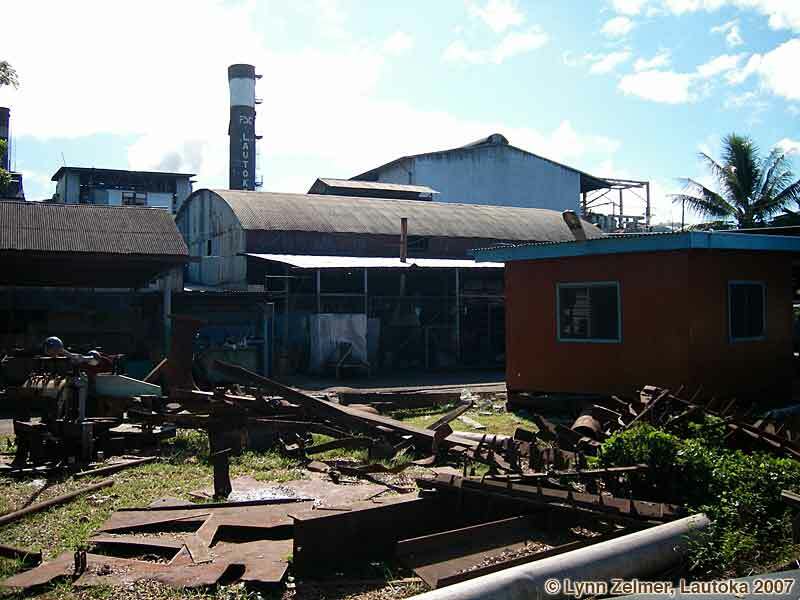 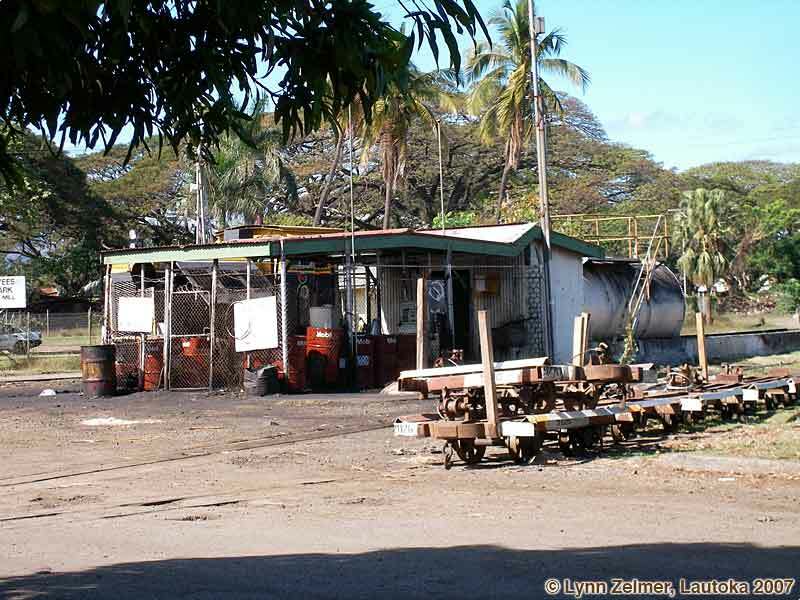 FSC's (Fiji Sugar Corporation) mill tramline runs through the middle of Lautoka, Fiji's second largest city. 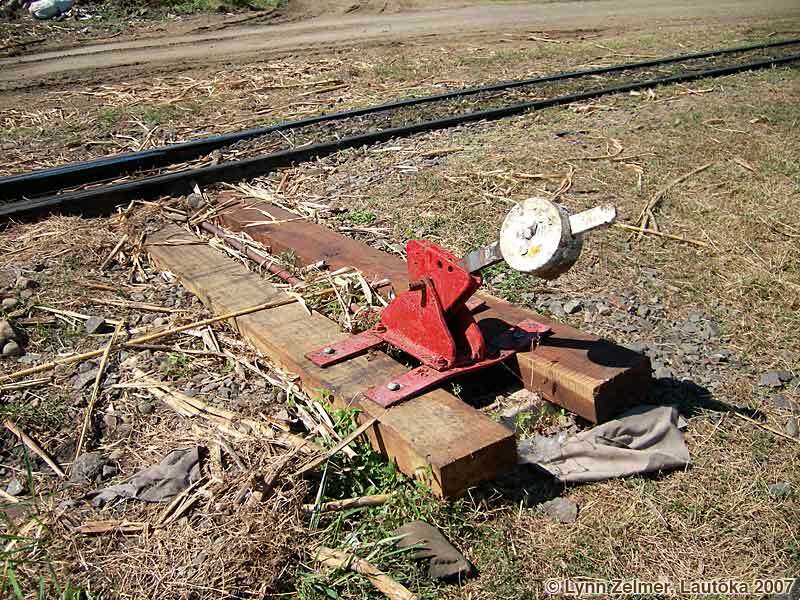 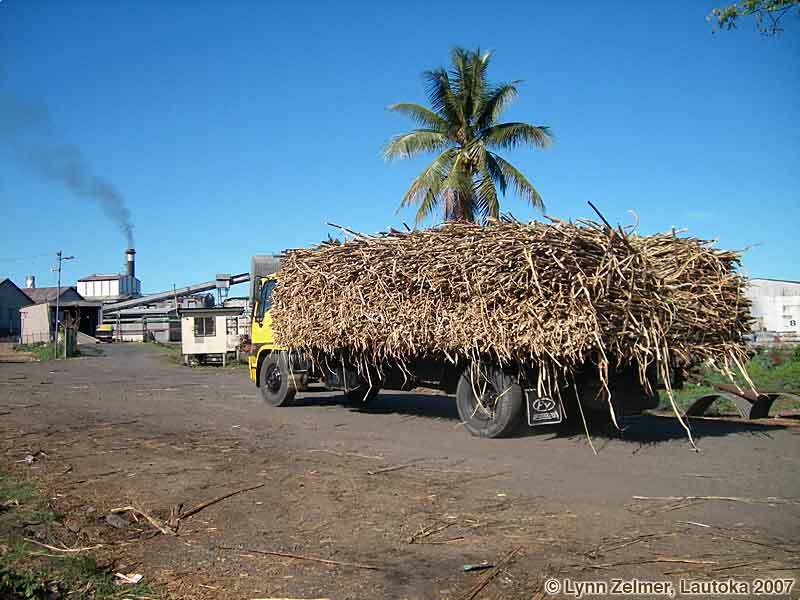 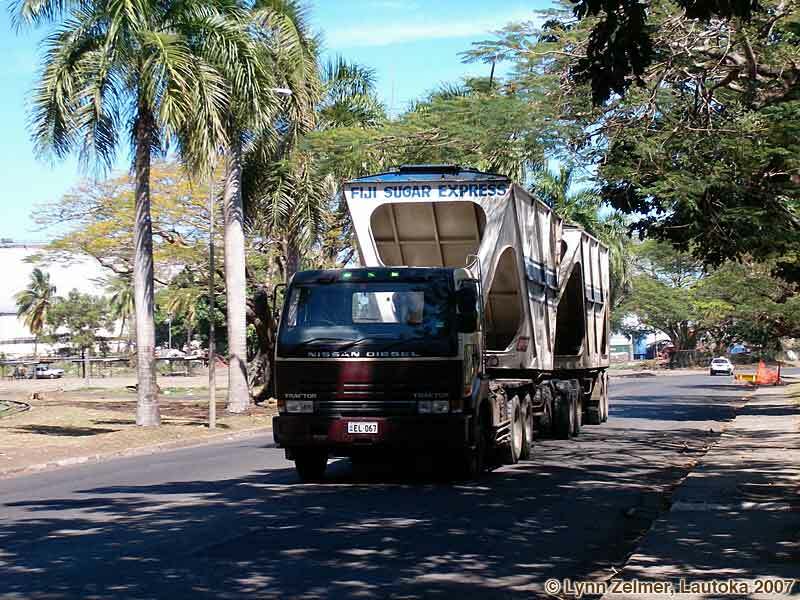 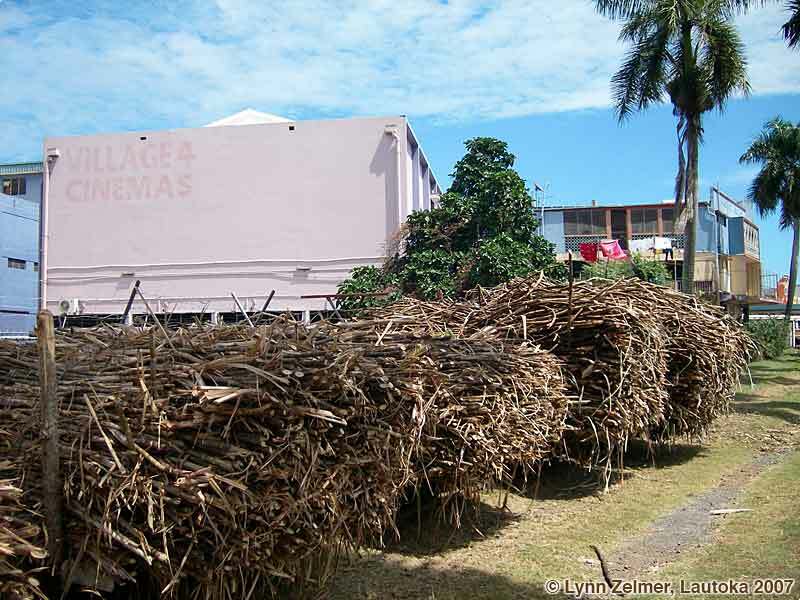 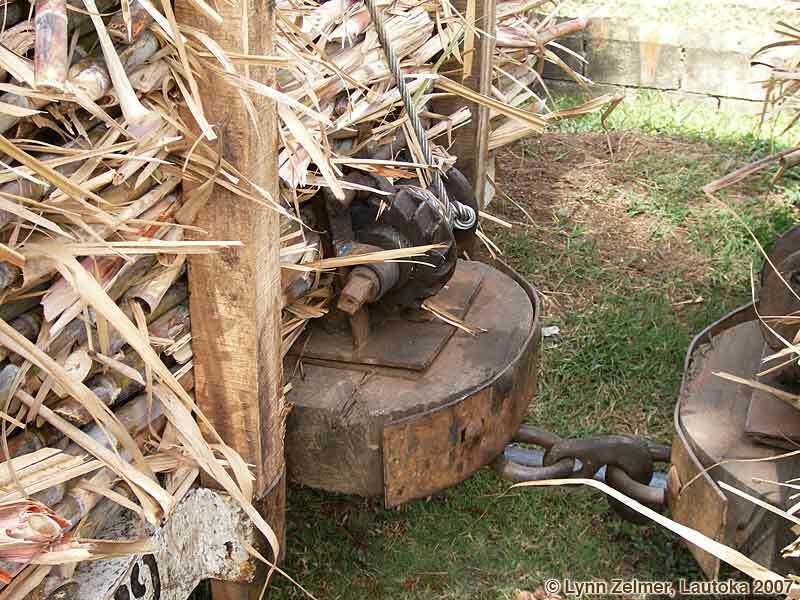 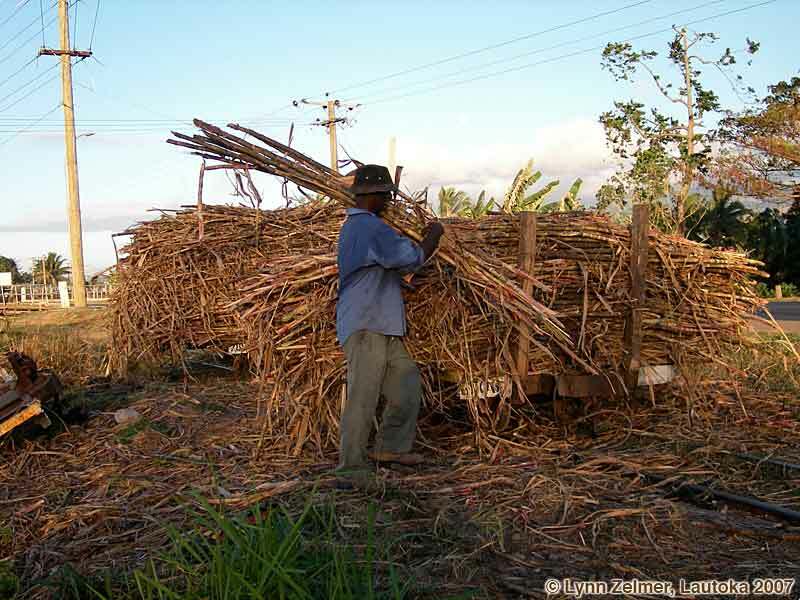 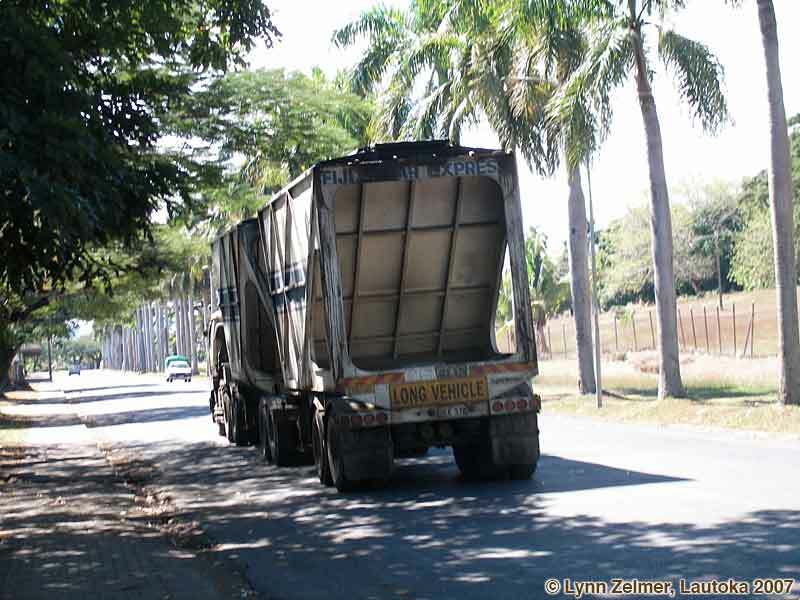 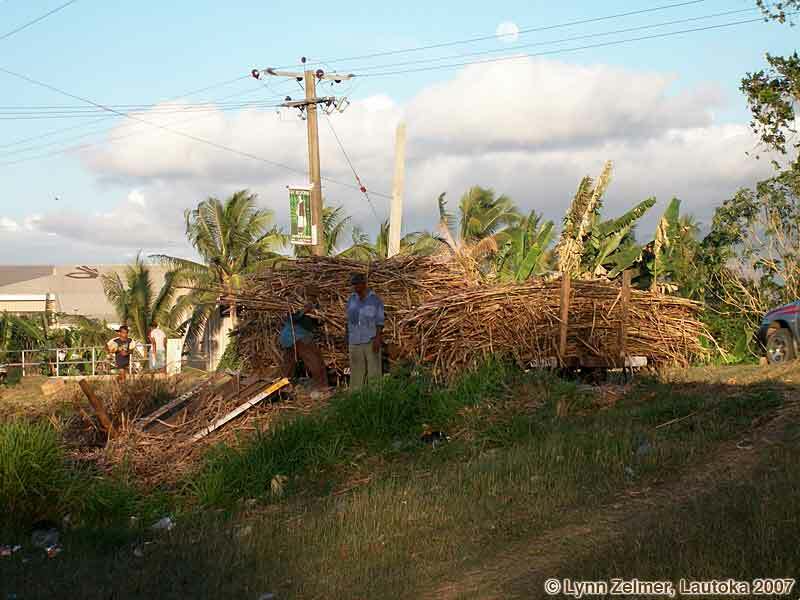 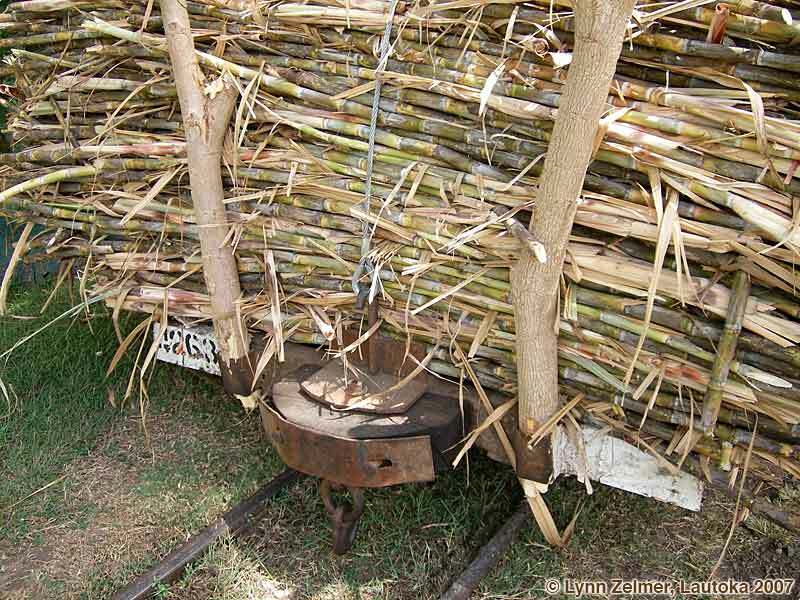 Sugar cane provides much of the employment in Lautoka and area, and both the cane railway and transport trucks move cane through the city during the crushing season. 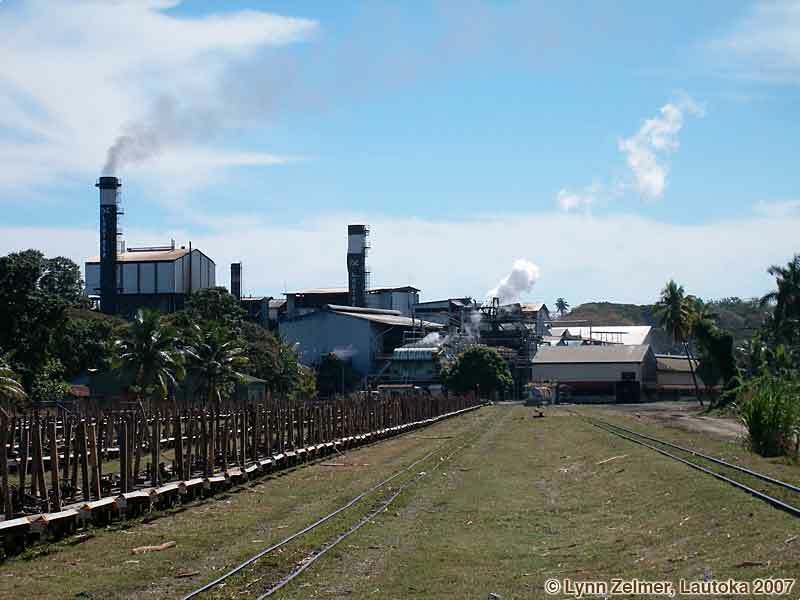 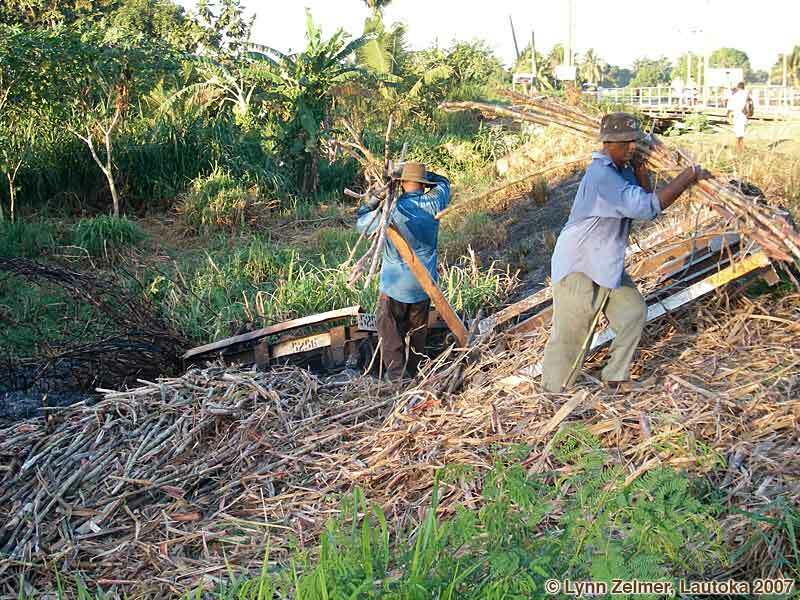 FSC is the successor to CSR (Colonial Sugar Refineries), who also owned mills in Australia. 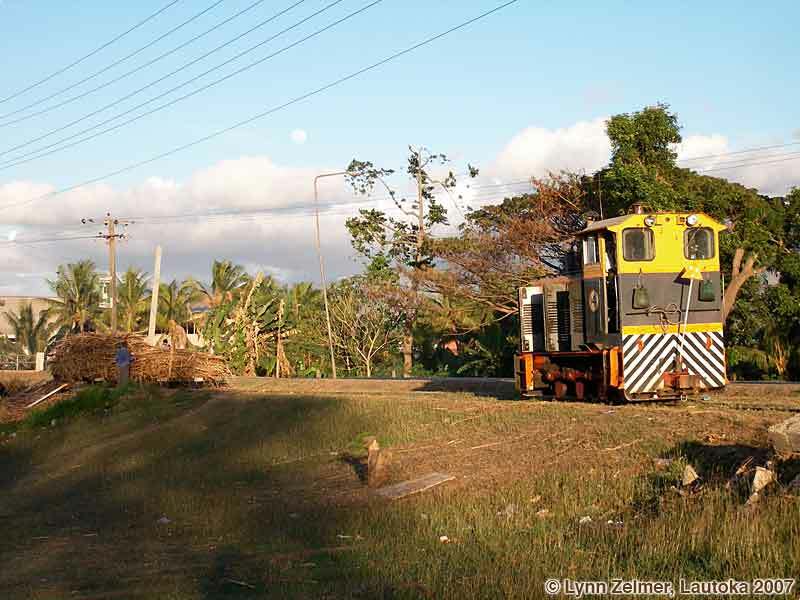 Fiji has been much slower to modernise than Australia and as a result the Fijian cane railways are very reminiscent of 1950-1970 in Queensland. 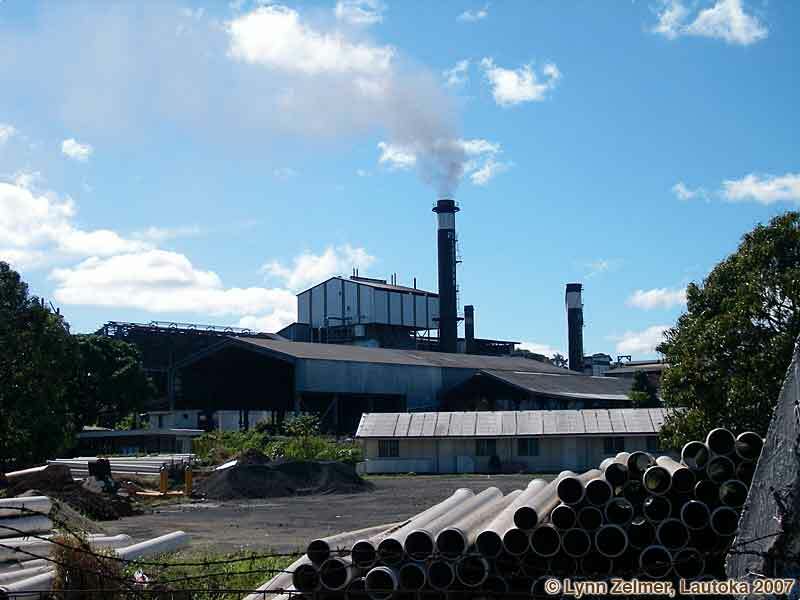 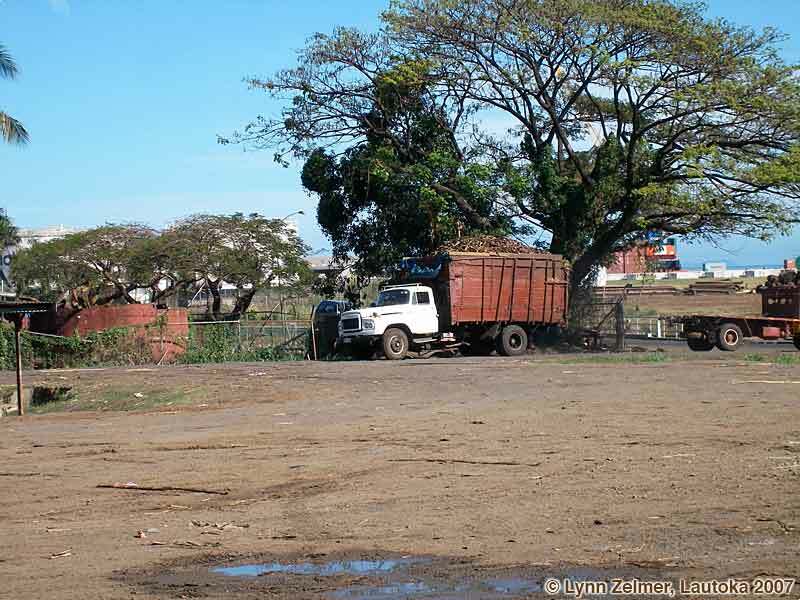 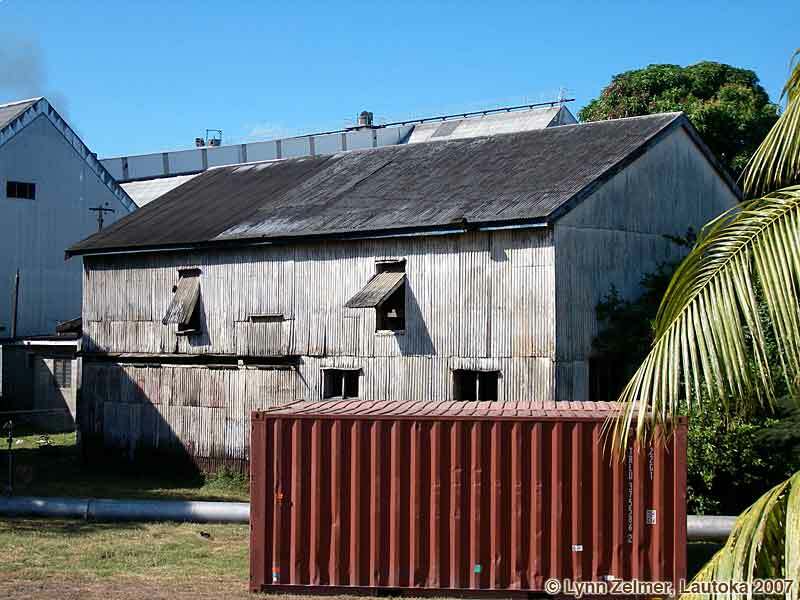 Right: Lautoka Mill from the empty truck yard, 2 Sep 2007. 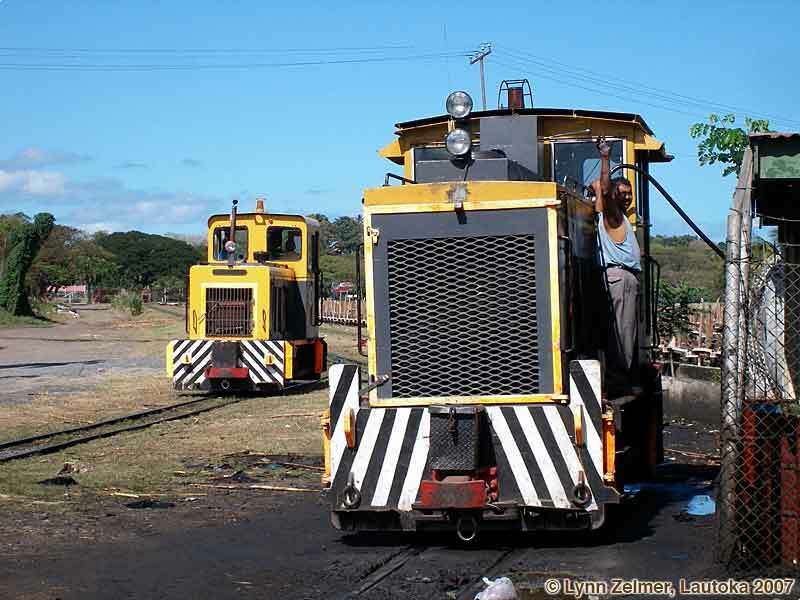 These images are the result of a work trip in August-September 2006. 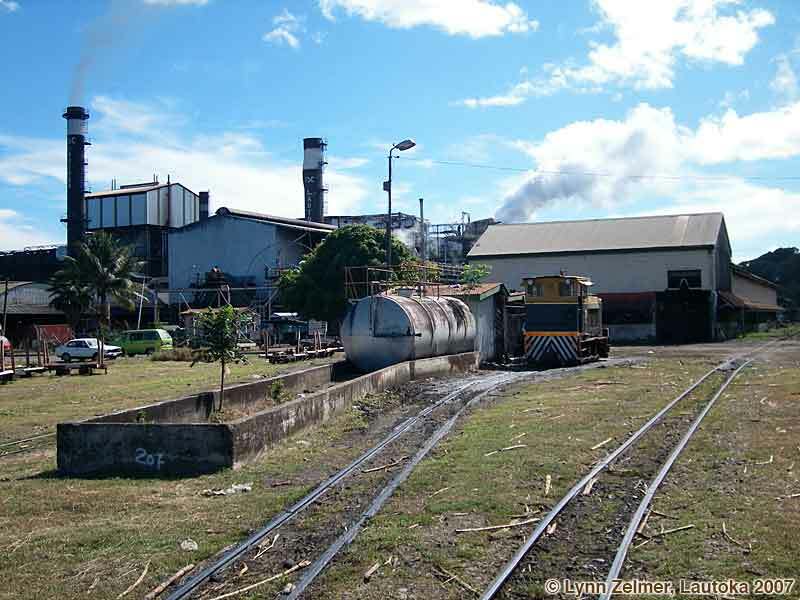 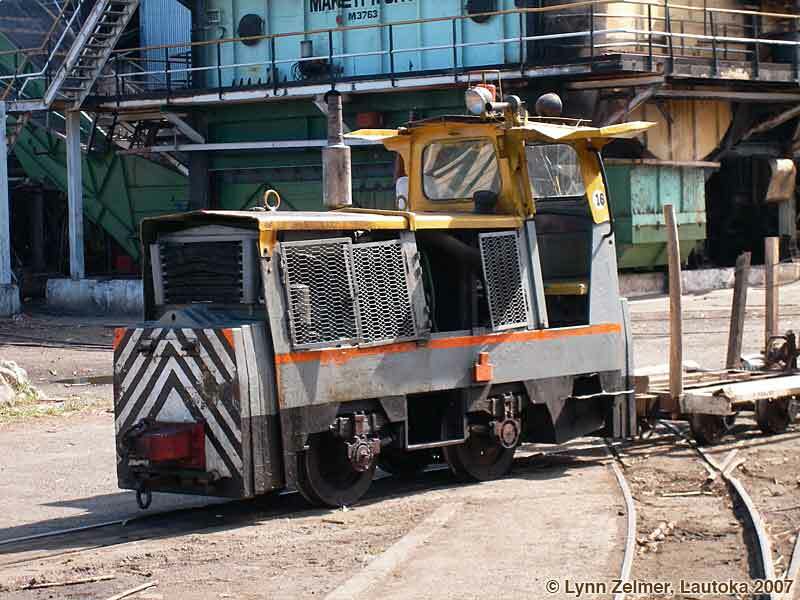 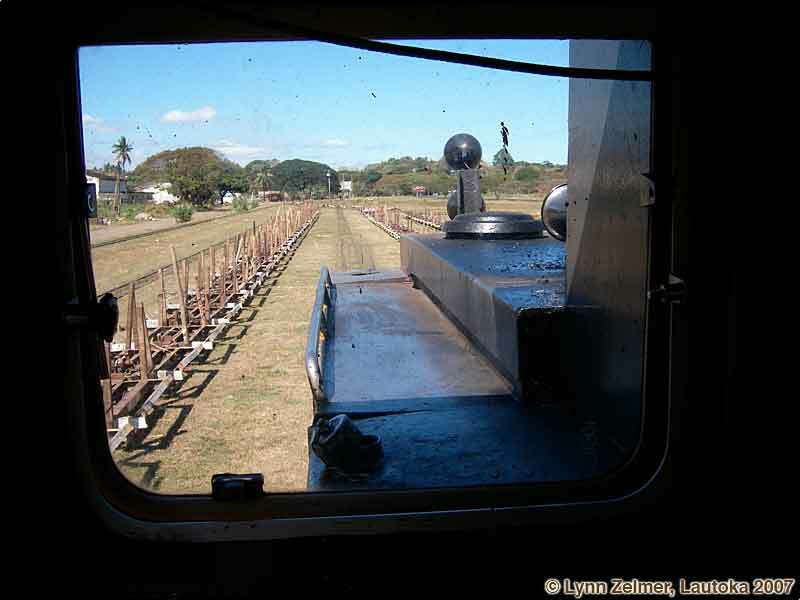 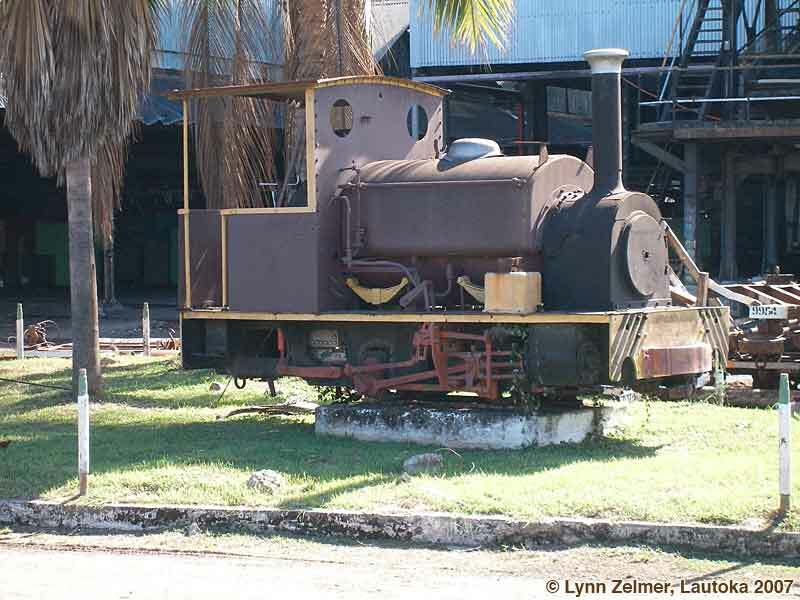 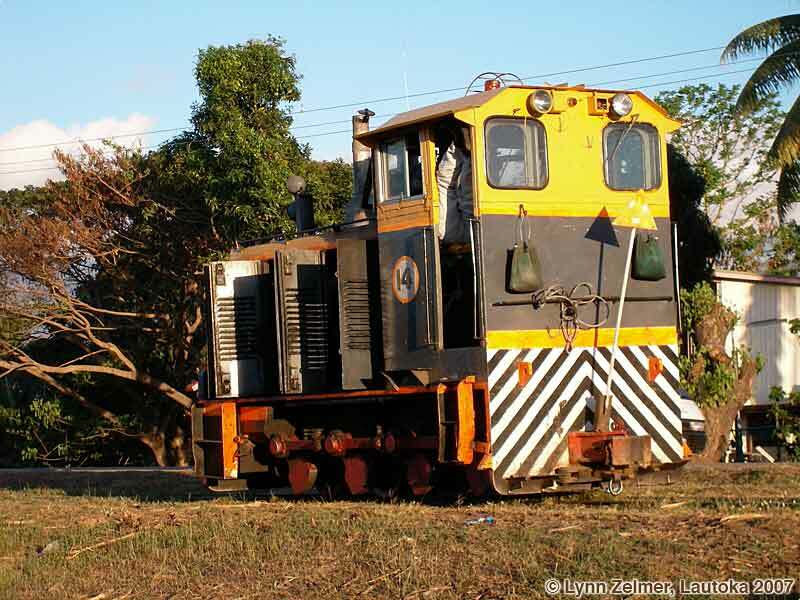 While I wasn't able to 'chase' the sugar cane trains to any extent because of the work commitments, I was able to get some images from the Lautoka Mill and area. 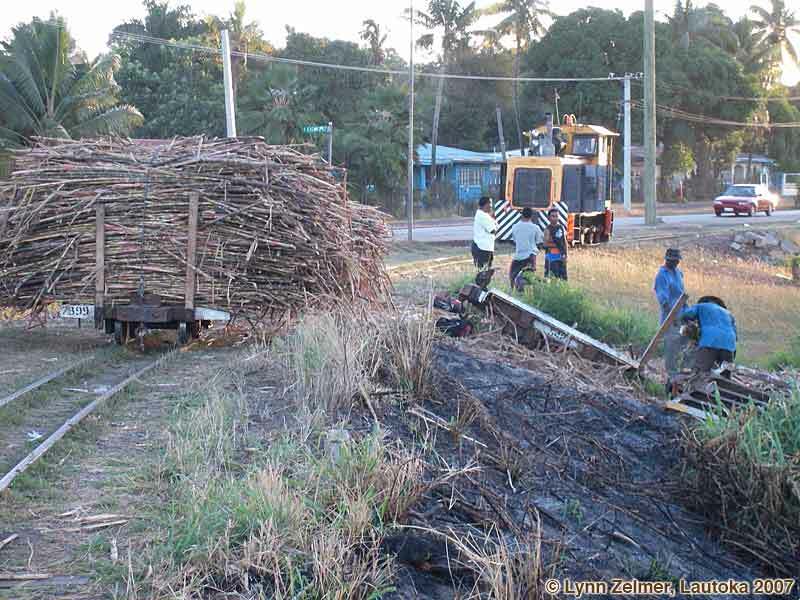 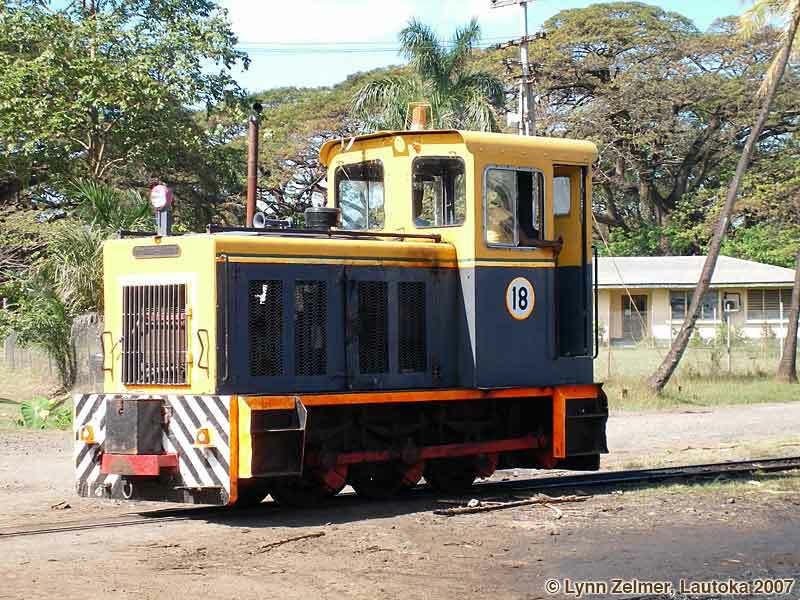 Information for modelling Fijian and Queensland sugar cane railways is available on the CaneSIG web site. 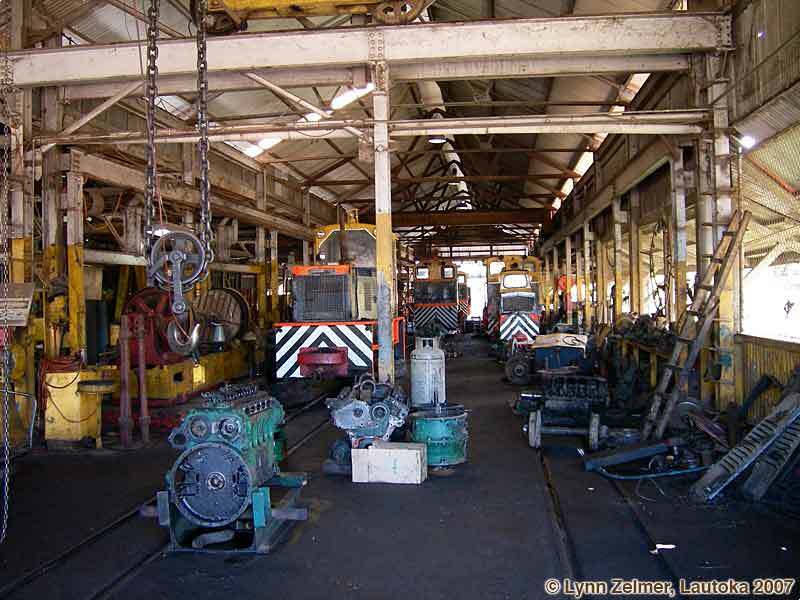 Mill buildings: 1 (old style), 2, 3, 4, 5 (mill from empty truck yard), 6 (loco shed interior). 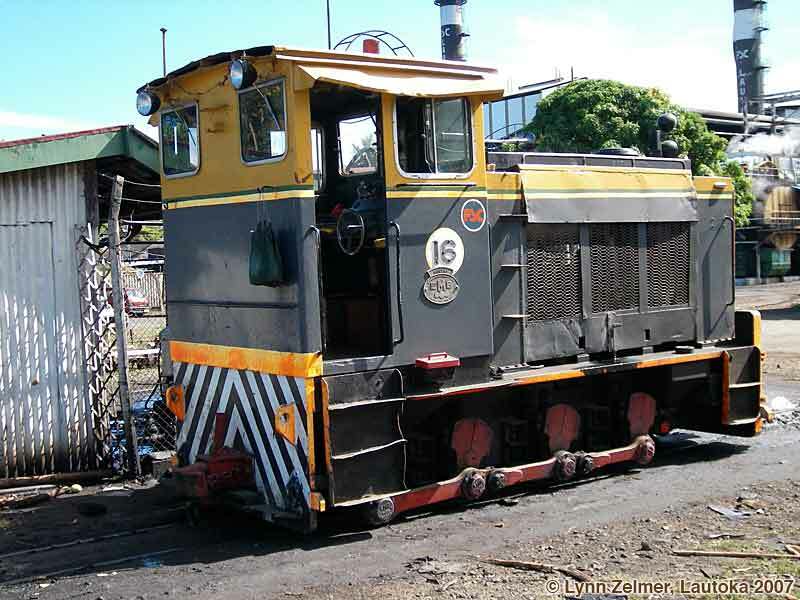 Locomotives: 0-4-0T on plinth at mill, #14, #14 (close-up rear 3/4), 4WD #16, #18 (Baguley Drewry), BD #18 & EMB #16, EMB #16 (in empty yard), EMB #16 (EMB cab interior), EMB #16 (3/4 rear). 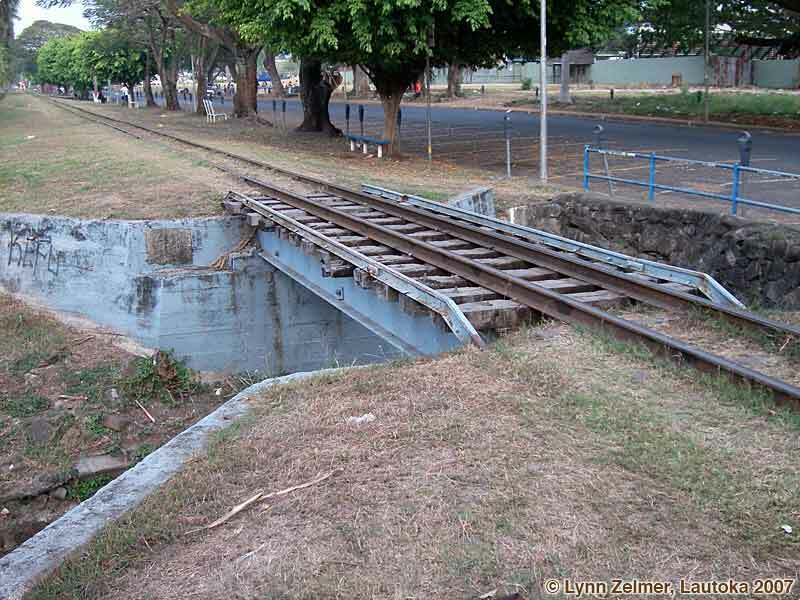 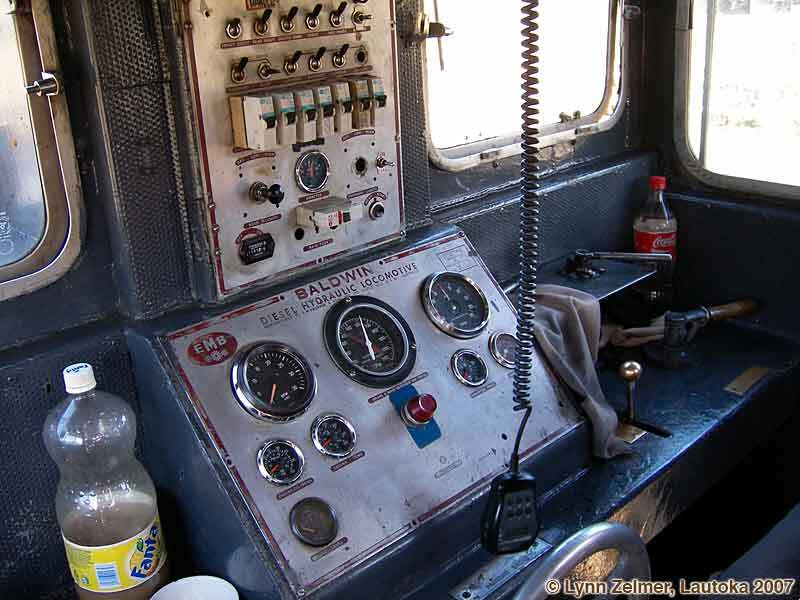 Infrastructure: 1 (fueling depot), 2 (fueling depot), 3 (small steel bridge in town), 4 (point lever). 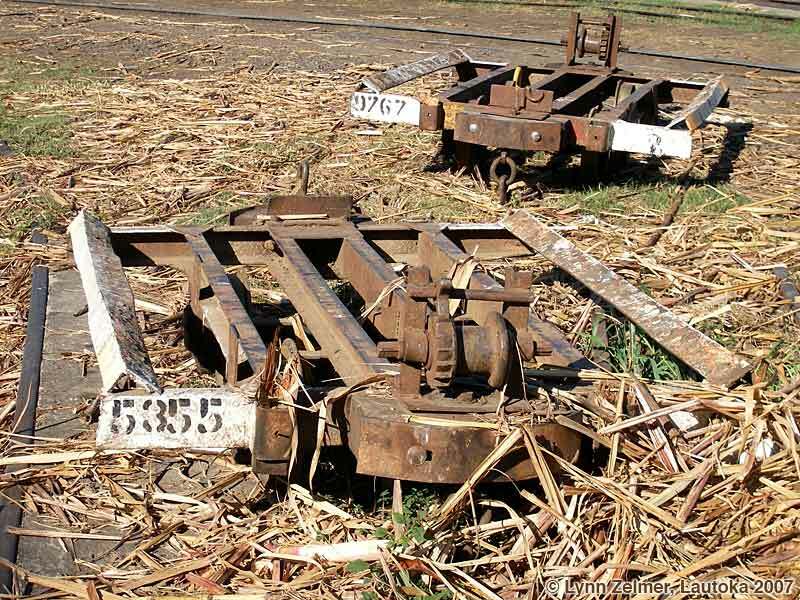 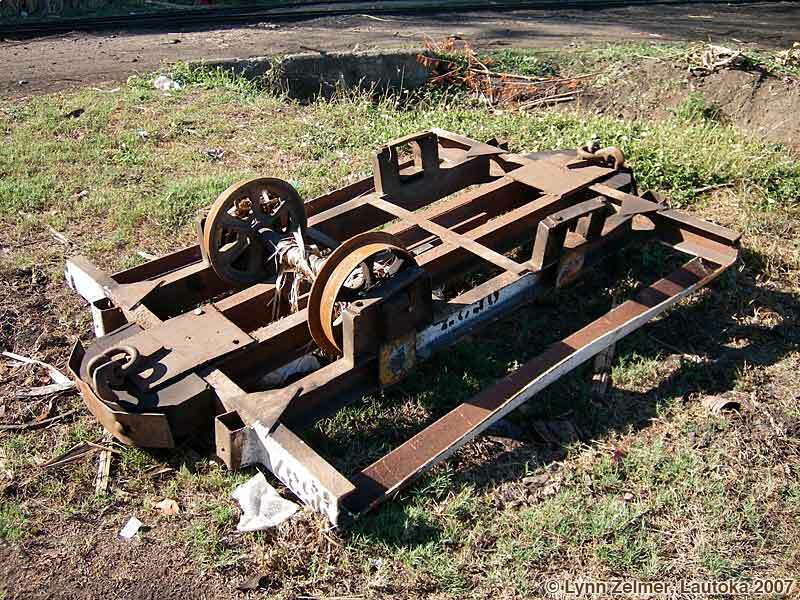 Wholestick Cane trucks: Reloading from derailed trucks 1, 2, 3, 4, truck frame 1, 2, Loaded on main line in Lautoka 1, 2, detail end, winch. 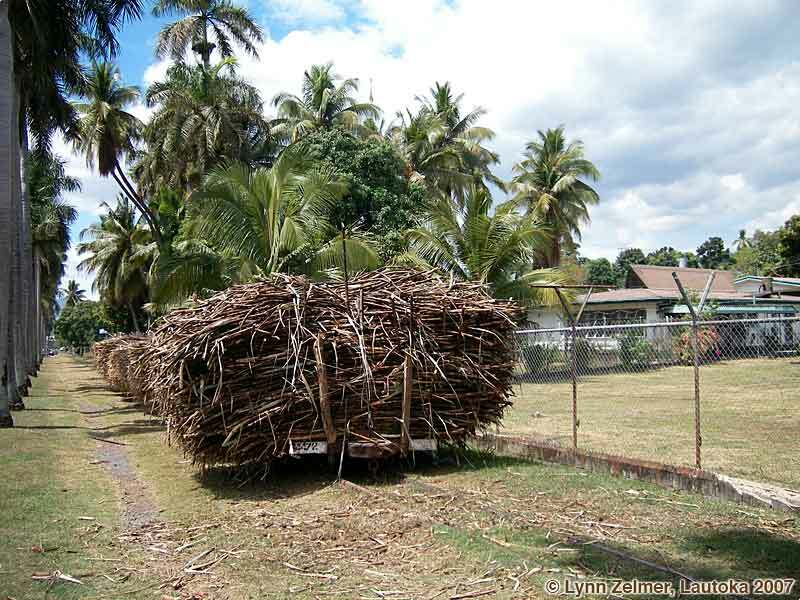 Road Transport: 1, 2, Fiji Sugar Express 1 (front), 2 (rear).